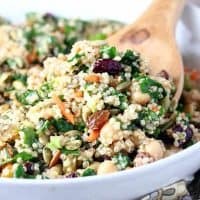 MOROCCAN QUINOA POWER SALAD — This hearty grain salad is loaded with vegetables, protein and sweet dried fruit. It’s a great side or light lunch any day of the week! 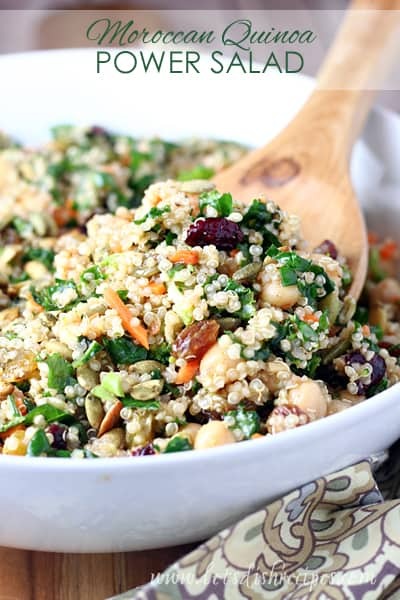 I love coming up with variations of quinoa salad for lunch, and this Moroccan Quinoa Power Salad is hands-down my new favorite! It’s loaded with so many nutritious things, and is the perfect combination of savory and sweet. It keeps for several days in the refrigerator too, so I love making a big batch and eating it throughout the week. Whether you’re having lunch at home, or looking for something healthy to take into the office, this salad has everything you need. 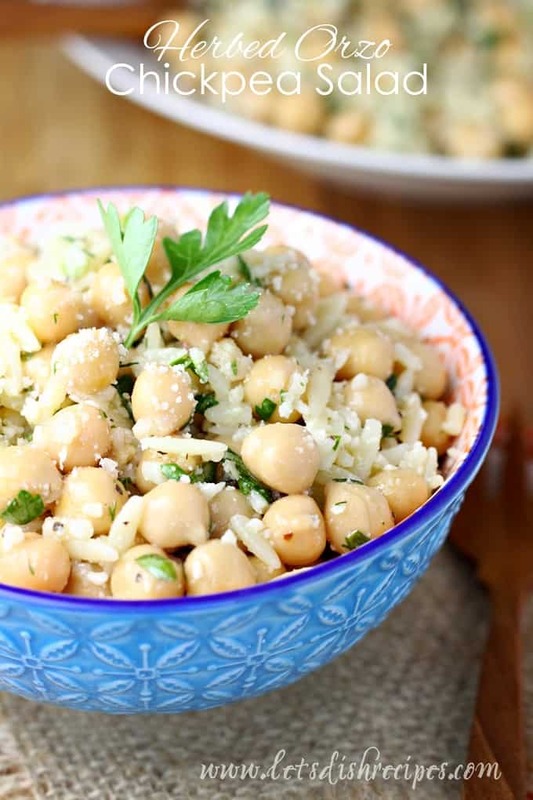 This salad is also a wonderful side dish for things like grilled chicken or seafood. And it’s easily adaptable to use whatever veggies, nuts, and beans you have handy. You could even add chicken or shrimp for a complete, hearty dinner. It would be a perfect summer meal on those warm days where you don’t want to turn on the oven. A few tips for making quinoa salads. I like to use a little less water than called for when cooking my quinoa. That way it doesn’t end up mushy when I add it to my salad. And toasting the quinoa beforehand adds such a great nutty flavor. It only takes a few minutes and it’s totally worth it! And for some reason, it just tastes better when all the herbs and veggies are chopped super fine. Not a requirement by any means, but you’d be surprised at what a difference it makes. 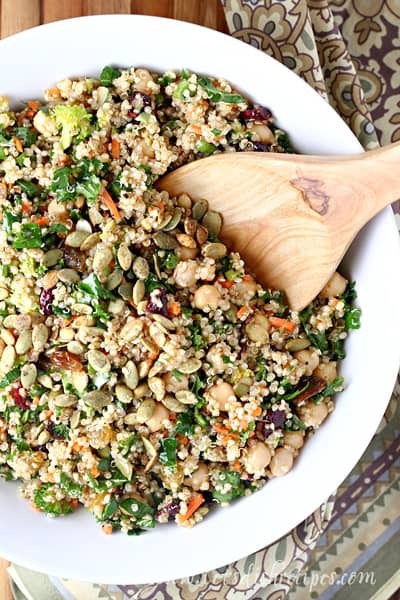 Either way, I hope you love this Moroccan Quinoa Power Salad as much as I do! 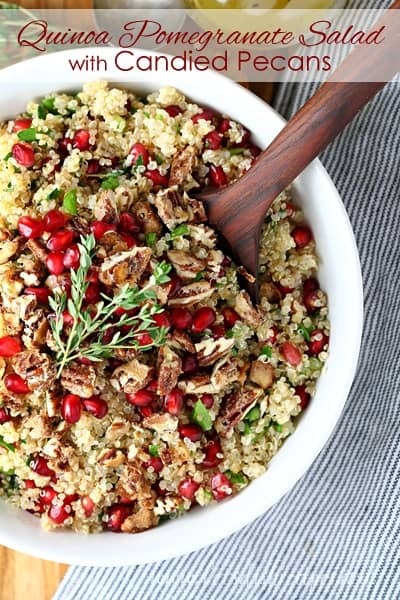 Be sure to save this Moroccan Quinoa Power Salad recipe to your favorite Pinterest board for later. 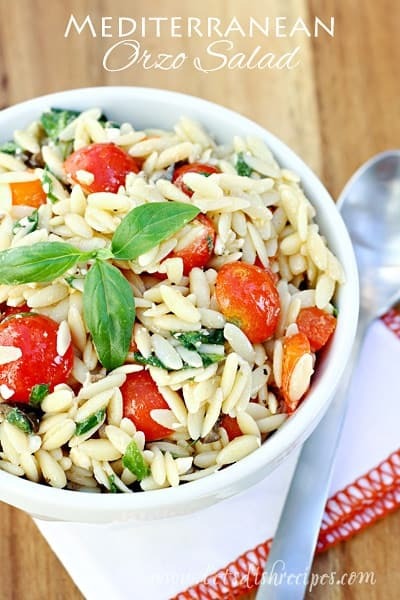 This hearty grain salad is loaded with vegetables, protein and sweet dried fruit. It's a great side or light lunch any day of the week! Heat olive oil in a medium saucepan over medium high heat. Add quinoa and toast until golden, 3-5 minutes. Add 1 1/2 cups water to quinoa and bring to a boil. Remove from heat. Cover and let stand for 10-15 minutes until quinoa is just tender and has absorbed the water. Rinse with cool water and drain. Cool completely. Add carrots, green onions, chickpeas, kale, broccoli, and parsley and toss to combine. In a small bowl, whisk together dressing ingredients. Pour over quinoa and mix well. Refrigerate until ready to serve. Stir in cranberries, raisins and pumpkin seeds just before serving. I just made this and put it in the fridge. Before I did that I had a Lil taste and mmmm, yummy! A definite go to for lunch or dinner on a hot day.